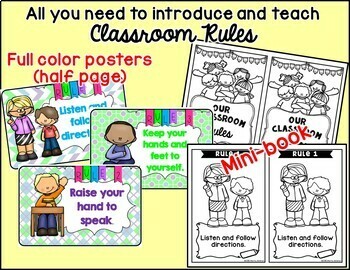 This mini-unit is perfect for the beginning of the school year. 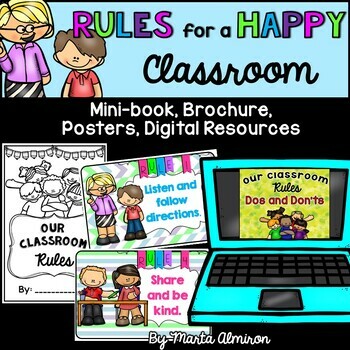 Start teaching and reinforcing your classroom rules using this package. • Raise your hand to speak. •	Always try your best! 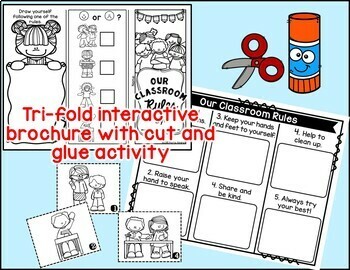 ✔ Cut and glue worksheet. ✔ Talking points cards. 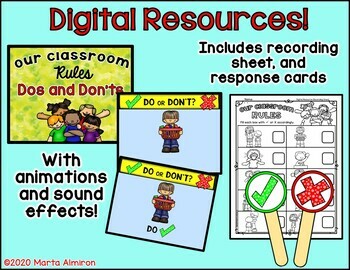 Four cards showing situations of kids breaking rules. Have students observe the card and discuss with a partner what they see. ☝Be sure to follow my TpT store by clicking on the red ‘Follow Me’ next to my Seller picture to receive notifications of new products and upcoming sales.